Day two takes a look at Sam Cooke. One of the greatest singers who has ever lived. Listen to this tribute and you will see why. 29 top 40 hit records within a 7-year tenure. Not many new artist can do this. 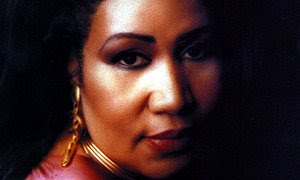 Voted by “Rolling Stone” at the 4th spot for “Greatest Singer Of All Time”. As stated on the conclusion segment of “Sam Cooke: Portrait Of A Legend”… “Sam Cooke’s yours, he’ll never grow old”. 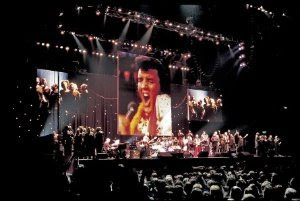 “Elvis Presley in Concert,” the production that reunites Elvis’ former bandmates live on stage with a video-projected Elvis, will tour Europe in February and March of 2010, it was announced today. After multiple, sold-out concert tours and a hiatus of nearly two years, worldwide public demand is at an all-time high for this Elvis concert experience. This latest tour will include engagements in England, Ireland, Scotland, Holland and other European countries to be announced soon. Ticket sales for the engagements in England will begin April 21 at 3 p.m. GMT for Elvis Insiders, members of the official online fan community at Elvis.com/Insiders, and on April 24 at 3 p.m. GMT for the general public. Franklin, 66, came in ahead of Ray Charles at No. 2, Elvis Presley at No. 3, Sam Cooke at No. 4 and John Lennon at No. 5, according to the magazine’s survey of 179 musicians, producers, Rolling Stone editors, and other music-industry insiders. The 100-strong list will be published on Friday, when Rolling Stone hits the newsstands with four different covers.